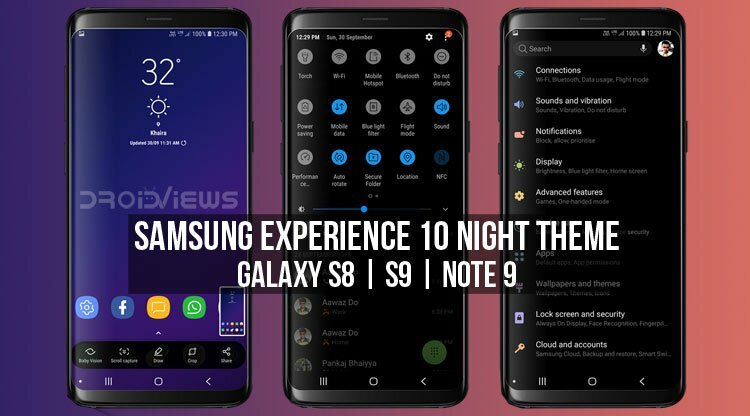 We have a Samsung Experience 10 Night Theme now for the Samsung Galaxy S9, Galaxy S8 and the Note 9. 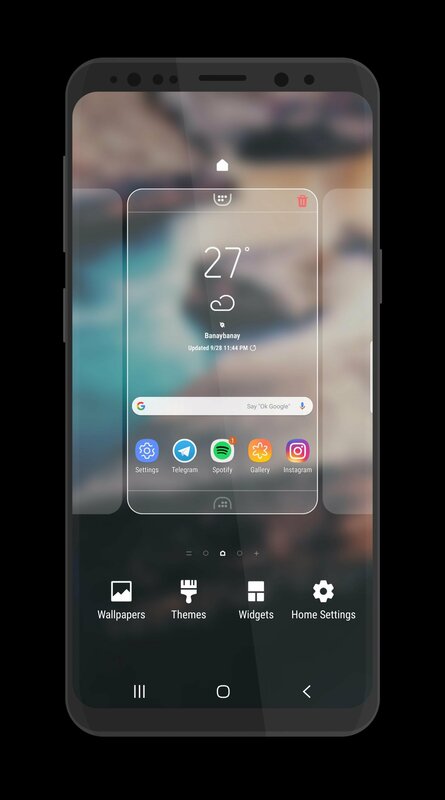 It’s based on the leaked build of Samsung Pie UI elements in the upcoming Samsung Experience 10. It’s technology season this time of the year because this is the time most tech companies launch new products. It is the time before holidays across the world and every company wants their brand new products attracting customers. It’s also the time of the year when most Android manufacturers are working on bringing the latest and greatest version of Android to their devices. Essential has already done this right when Google did. OnePlus has already released Oxygen OS 9.0 based on Android Pie for its latest flagship. Samsung is also working on their Samsung Experience 10, based on Android Pie. Samsung will hopefully release a beta version of its Samsung Experience 10 for some of its latest flagships by the end of the year. Samsung’s version of Android 9.0 Pie looks very different to its iteration of Android 8.0 Oreo. Android Pie itself looks quite different than Android Oreo with a lot more white everywhere and rounded corners all over. Samsung Experience 10 retains those and adds even more differences compared to Samsung Experience 9.0 based on Android Oreo. These differences are both aesthetic and functional. XDA Recognized Themer envy~ has managed to bring many of those visual changes to the Android Oreo-based Samsung Experience 9.0 on the Samsung Galaxy S9 and Galaxy S8. Of course, not every aspect of a new operating system version can be simply ported via a theme. That’s especially true for the functional aspects. 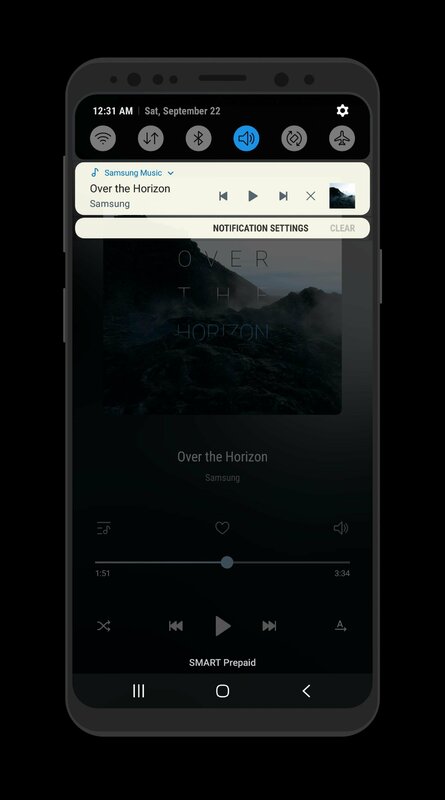 But the theme by envy~ seems to do a pretty good job at bringing the Samsung Experience 10 to the Galaxy S9 and Galaxy S8. Most of the white has been turned dark in the theme so as to make it more AMOLED friendly. 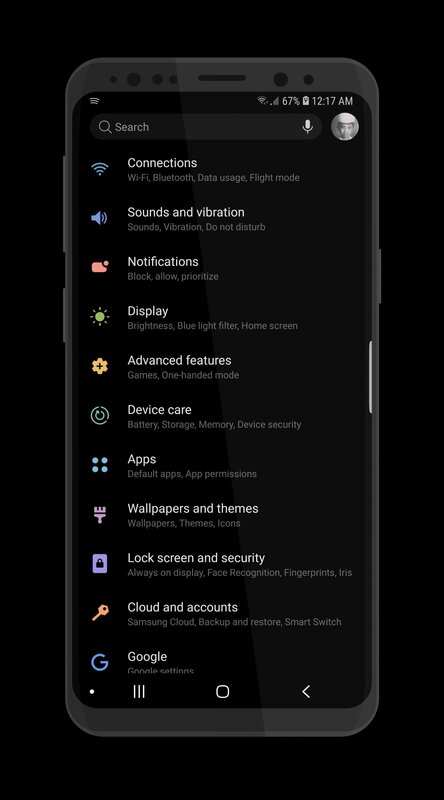 The theme brings rounded corners, a new navigation bar, design, black AMOLED backgrounds and a lot more. Here is a full list of changes that the theme brings, straight from the developer of the theme. Some things that don’t work include rounded corners for notifications on Android 8.1 Oreo. The theme is optimized for Android Oreo and lacks support for Android Nougat. So although it does work with Android Nougat, you can expect more bugs and compatibility issues. Go to the Theme Store app and apply the default theme if you’re not already on the default theme. Download the theme APK from above and install it like any normal APK file. Installation can take a bit longer than usual. Go to the Theme Store app again via the Wallpapers and Themes option in Settings. If you open it via the app icon or the recents menu, chances are you might not see the newly installed Samsung Experience 10 theme. You should see the newly installed theme here. Apply the trial and then restart the phone once the theme is applied. Even though it says trial, this is the full theme so don’t worry about the trial part. If you don’t see the theme in the Theme Store app you may have to install the APK again. Sometimes it can take two or three tries to get the theme to show in the app. Installing another theme from within the app can also help in some cases. Don’t install another version of the same theme over it. If you want to install an update, you’ll need to uninstall the theme first, re-apply the default theme and then install the newer version. Since this is not an official theme and changes more than it is supposed to, there are some caveats. For instance, when your apps get updated to a newer version, some of the icons, if previously changed by the theme, may not display properly. This is not something that should happen but it can.